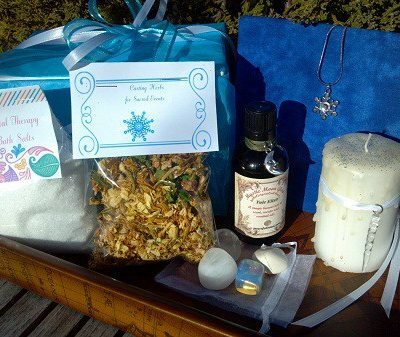 Our Imbolc Candlemas Gift Set, Ritual Kit, Sabbat Kit, Cleansing Kit, Spring Cleaning Kit is the perfect combination of essential tools for empowering your intentions! Encourage new beginnings and the smooth transition of change with this all-in-one gift set in honor of you! Imbolc or Candlemas or Groundhog’s Day is the mid-way point between Winter and the promise of Spring. (February 1st or 2nd) An Irish Gaelic word, Imbolc pronounced im-molk, literally means “in milk” or “in the belly”. It is a time for honoring creativity, fertility and receptive, feminine energy. Imbolic is a Gaelic festival marking the early beginnings of Spring. Most commonly it is held on January 31 – February 2, or halfway between the winter solstice and the spring equinox. It is also a time we celebrate love! Imbolc was traditionally a time of weather divination and the old tradition of watching to see if badgers came from their winter dens in what has become the North American Groundhog Day. We have handcrafted these 5 candles to represent the power of fire and light. They embody the winter white snow and the drenched blessings of milk and honey, most honored at this time. These blessed, fragrant candles are empowered with essential oils of basil, gardenia and crocus petals. It is embellished with a seasonal sparkle. This 9″ plate is environmentally friendly, made from organic bamboo, and biodegradable. This plate is perfect for preparing and burning your candles. It can work on any eco-friendly altar or meditation space. Enjoy it over and over again. 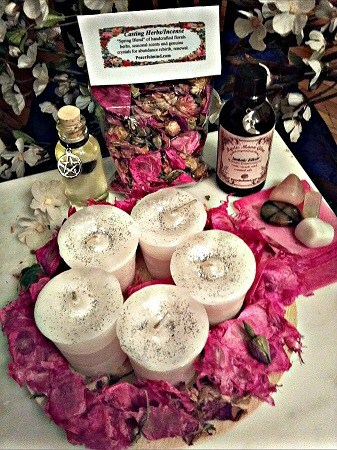 Angel Wings, Red, Peony Flowers, Red and Pink Rose Bud Globes, Amaranth, Pink, Lemon Verbena, Quassia Chips, Shiny Wing, Green Orris Root, Milk, Honey and Rose and Geranium Angel’s Mist Essential Oils along with a dash of pink rose quartz crystal chips! Our incense also come with charcoal disks. Enough herbs to accent your plate and candles and cast them into your fireplace, cauldron or bonfire. Mystic MOON Glow oil/herb/crystal blend. This midwinter fire festival recognizes the growing light, an early breath of Spring and the conscious decision to cleanse, purify and renew in order to start new beginnings! 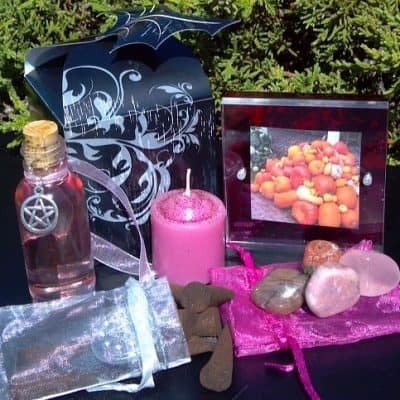 It combines pink angel wings, red, peony flowers, red and pink rose bud globes, green orris root, milk, honey and basil and rose Angel’s Mist Essential Oils along with a dash of pink rose quartz crystals! Our biggest seller, this triple blessing oil combines the 3 most sacred essential oils of Sultry Sage, Sacred Cedarwood and Sensational Sweetgrass for clearing, honoring and protecting. 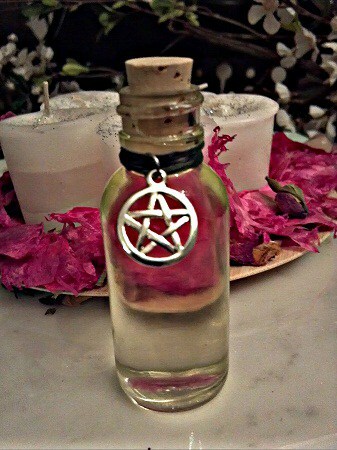 Bless your altar and candles with it, cast a circle or anoint yourself with this ancient recipe! 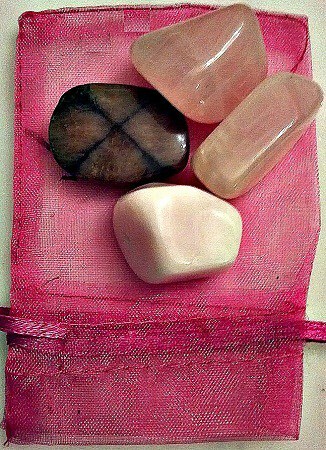 Rose quartz for love, self-love and fertility, Chiastolite (The Cross Stone) to honor St.Brigid, Milky White Quartz to symbolize the Nine White Stones, which represented the nine virgins attending Brigid and Moonstone to honor the Goddess in all women and the moon! 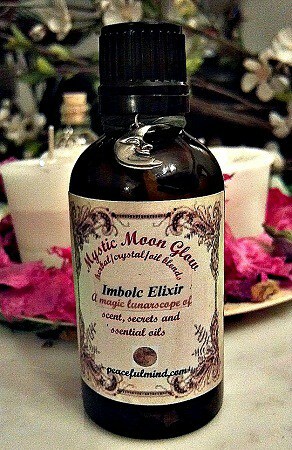 Includes step by step instructions for creating an Imbolc Festival! 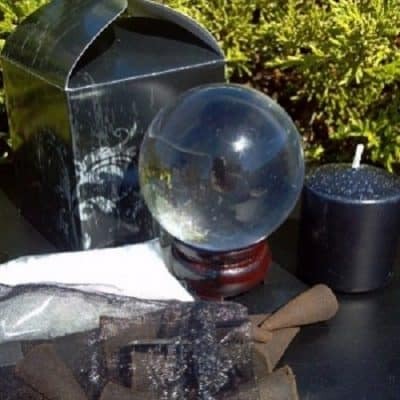 It shows you how to set up your altar, meditation space or Imbolc ritual. 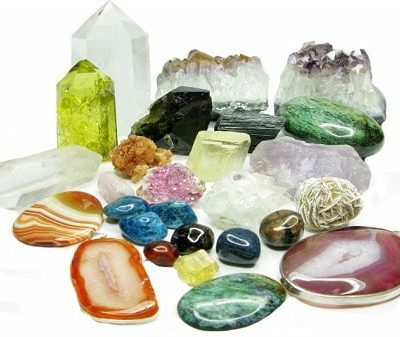 Includes healing information about the crystals and how to clean and care for them, a special Imbolc meditation, how to use all your tools in this kit to align with each element and how to enjoy every aspect of this fulfilling, empowerment kit!! !